German Economy and Energy Minister Brigitte Zypries said Euler Hermes–a leading provider of trade credit insurance–is interested in covering investments in Iran, especially in energy and electricity sectors. 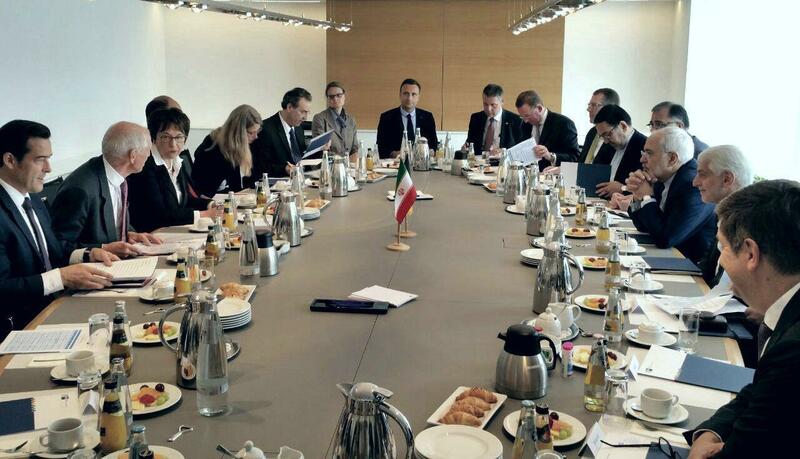 The German minister made the announcement during a meeting with Iranian Foreign Minister Mohammad Javad Zarif on his visit to Berlin on Tuesday to discuss further expansion of economic ties. Hermes cover is a common way of referring to an export credit guarantee by the German government. The guarantees are an important part of German foreign trade policy and protect German companies in the event of non-payment by foreign debtors. Germany’s export credit guarantees offer an array of insurance options that are mainly targeted at exports to developing countries and emerging markets. The German insurer had been active in Iran in the past but a disconnect occurred when the country was hit by nuclear sanctions. Iran owed a significant amount of debt to the insurance company, but it was fully repaid after the sanctions relief. Subsequently, Euler Hermes announced that it will resume its activities in Iran in the near future. “Trade between Iran and Germany exceeds $3billion, which is pretty good,” Zypries was quoted as saying by the government’s official website, Dolat.ir. She noted that many Germans visit Iran every year and it is no surprise that “when relations between the two nations improve, economic ties will improve as well”. “Germany intends to enhance banking relations with Iran, given the important role banks play in financing economic projects,” she added. The Iranian foreign minister also referred to the importance of banking relations and described them as a prerequisite for increasing economic ties. “Both countries had friendly and close relations for years and there is trust between Iranian and German merchants,” he added. Zarif noted that Iran has a great deal of potentials and could be a reliable partner for joint production of goods that can be exported to the regional countries, especially in Central Asia. Zypries said her country is ready to expand political and economic relations with Iran. German industries look forward to a surge in exports to Iran after international sanctions were lifted in January 2016 in return for the Islamic Republic complying with a deal to curb its nuclear program. Iranian banks and companies faced difficulties for transferring money during the sanctions’ era and foreign credit insurance agencies had to cover the payments of Iranian banks and companies.